Is your CAPTCHA Strong enough !! We have seen a lot of DoS (Denial of Service) attacks in recent times. An old but promising solution to DoS attacks in web applications is to have CAPTCHA implemented in the publicly available form/pages. 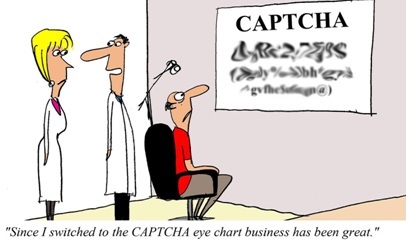 However, all CAPTCHA implementations are not quite safe, and some implementations would give the user a headache. There are recent developments on simplifying CAPTCHA- But on simplifying, some developers forget the purpose of CAPTCHA. Well, what is the purpose of using CAPTCHA? In simple words CAPTCHA (Completely Automated Public Turing test to tell Computers and Humans Apart) is a program to ‘ensure’ that the user is a human. Almost 80% of custom CAPTCHA implementations are found to be unsafe during our evaluations. So what all are the measures to make sure the application has safe and simple CAPTCHA?